Initially, since most of the ICS components were physically found in secured areas, and were not connected to IT systems or networks, local threats were the only security concern. Because merging ICS systems and IT networks has become increasingly prevalent, the former have become significantly less isolated from the outside world, thus requiring security measures to protect them from external and remote threats. Additionally, the implementation of wireless networking makes the ICS vulnerable to physically proximal adversaries who do not have a direct access to the equipment. The endless list of possible rivals or threats to an ICS might include discontented employees, hostile governments, malicious intruders, terrorist groups, natural disasters, accidents, complexities as well as accidental or malicious actions by insiders. Therefore, the security objectives for any ICS must follow the priority of availability, integrity and confidentiality, in that order. A modification to the ICS software or configuration settings, or ICS software infection with malware. ICS operation disruption due to delayed or blocked traffic through the ICS network. Unauthorised changes to commands, instructions, or alarm thresholds, which could disable, damage or shut down equipment, create environmental impacts and risk human life. Inaccurate information sent to system operators, either to disguise unauthorised changes, or to cause the operators to initiate inappropriate actions. Physical access restrictions to the ICS network and devices. A combination of card readers, locks, and/or security guards could be used as physical access controls to protect the ICS’s components from functionality disruptions. Individual ICS component protection from exploitation. After testing them under the conditions of the field, security patches can be deployed as quickly as possible. All unused ports and services should be disabled, ICS user privileges should be restricted to only those that are required for each individual role, audit trails should be tracked and monitored, and security controls such as antivirus software and file integrity checking software should be used whenever it is technically feasible to prevent, detect, deter and mitigate malware. Logical access restrictions to the ICS network and network activity. In order to prevent information flow from travelling directly between the ICS and the corporate networks, a demilitarized zone (DMZ) network architecture with firewalls can be used, along with separate authentication mechanisms and credentials for the ICS and corporate network users. Additionally, a network topology with multiple layers can be implemented, keeping the ICS’s most critical communications in the most reliable and secure layer. Maintenance of functionality during adverse conditions. In order to do so, the ICS must be designed so that each critical component has a counterpart that is redundant. If and when a component fails, it should do so in a way that avoids unnecessary traffic from generating on the ICS and other networks, or that it doesn’t detonate a cascading event or other problems elsewhere. System restoration after an incident. 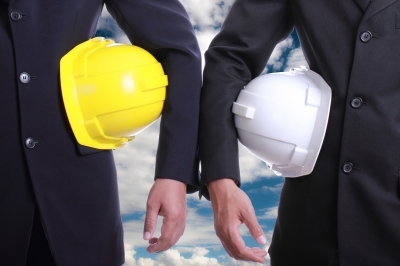 Because incidents are inevitable, it is essential to have an incident response program. The mark of an effective security plan is defined by how quickly a system can be restored after an incident has disrupted it. It is thus vital for a cross-functional cyber security team from various domains to share their experience and knowledge and to work together in evaluating and reducing the possible risk to the ICS. This team must at the very least include a member of the company’s IT staff, a control system operator, a control engineer, a network and the system security expert, a member of the management staff, and a member of the physical security department. Additionally, for consistency, this cyber security team must consult with the control system vendor and system integrator. They should report to the organisation’s CIO/CSO or the site management, who must take full responsibility and assume complete accountability for the ICS’s cyber security. An effective ICS cyber security program must focus on a “defense-in-depth” strategy which layers the security mechanisms to minimise the impact of a failure in any one of said mechanisms. Physical access restrictions to the ICS network and devices. Modern technology, such as smart cards, for Personal Identity Verification (PIV). The application of an ICS layered network topology, with the most critical communications occurring in the most reliable and secure layer. The implementation of a DMZ network architecture to prevent traffic between the ICS and corporate networks. The establishment of a logical separation between the corporate and ICS networks (e.g., stateful inspection firewall(s) between the networks). The implementation of separate authentication mechanisms and credentials for users of the corporate network and the ICS network. The application of role-based access control and the configuration of each individual role based on the principle of least privilege, which means restricting ICS user privileges according to who is required for each job. The employment of security controls such as intrusion detection software, antivirus software and file integrity checking software, where technically feasible, to prevent, deter, detect, and mitigate the introduction, exposure, and propagation of malicious software to, within, and from the ICS. The implementation of security techniques such as cryptographic hashes and/or encryption to ICS data storage and communications where appropriate. The rapid deployment of security patches after testing all patches under field conditions before installation on the ICS. The disablement of unused ports and services on ICS devices after testing to reduce impact ICS operation. The design of critical systems for graceful degradation (fault tolerant) to prevent catastrophic cascading events. Addressing security throughout the lifecycle of the ICS from architecture design to procurement to installation to maintenance to decommissioning. The development of security policies, procedures, training and educational material that are specifically applicable to the ICS. Taking into account the ICS security policies and procedures following the Homeland Security Advisory System Threat Level, and employing progressively amplified security measures as the Threat Level increases. 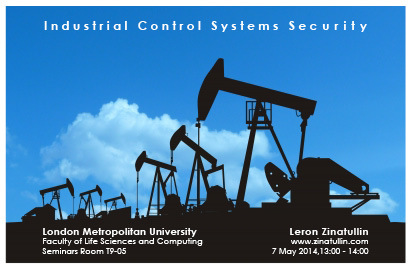 Today’s major industries rely on finely automated industrial control sectors and are operated by critical infrastructures of highly interconnected and mutually dependent systems known as industrial control systems (ICS). These are predominantly found in industries such as transportation, electric, oil and natural gas, utility power, pulp and paper, mining, discrete manufacturing (i.e. durable goods, automotive, aerospace, etc. ), chemical, metals, food and beverage, water and wastewater, and pharmaceutical. The term ICS comprises three main types of systems which include distributed control systems (DCS), supervisory control and data acquisition (SCADA) systems, along with the incorporation of smaller controller hardware components such as the skid-mounted Programmable Logic Controllers (PLC). DCS are usually found within a localized area, such as an industrial process plant or a factory, as a specific functional distributed control system design that relies on supervisory and regulatory control. DCS emerged as a tool for controlling the systems involved beyond a small cell area, while collecting data in real time on high-bandwidth/low-latency data networks. Because everything operates in real time, loop control will commonly extend up to the DCS top level controllers. Such systems can be found in refineries and chemical plants, among others. SCADA systems were designed to cater to distribution applications where remote data must be gathered through more unreliable data networks, such as those with low-bandwidth/high-latency links. These systems are implemented in widely separated geographical sites (often scattered over thousands of square kilometers) using an open-loop control, through centralized data acquisition and supervisory control. Supervisory data is typically sent back to a control center through remote terminal units (RTUs), which tend to be restricted to a limited capacity for handling local controls whenever the master station is not available. With technological advances, however, the capability of these RTU systems continues to grow, allowing for better performance. SCADA systems are normally used in water pipelines and natural gas industries, to name a few. PLCs are computer-based devices and are the result of the technological replacement of relay racks in ladder form. They are the primary components in small control system configuration and are used in almost all discrete industrial processes. PLCs are commonly integrated into DCS architectures as key components that provide feedback or feed forward control loops which automatically maintain the desired conditions of a process around a specific set point. Here, the PLC settings are specified to determine the desired tolerance and provide the rate of self- regulation and self-correction whenever there is a system upset. Today, the boundaries are blurring between these three system definitions as current ICS architectures are evolving into hybrids that integrate features of both SCADA systems and DCS. The key components for the operation of an ICS include: a control loop, Human-Machine Interface (HMI) and Remote Diagnostics and Maintenance Utilities (see glossary). 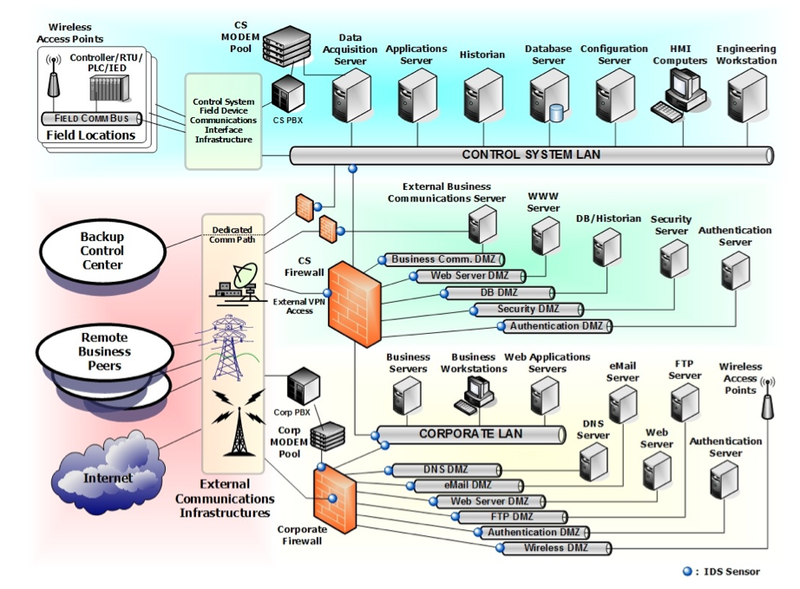 The main control components of an ICS encompass: a control server, a SCADA Server or Master Terminal Unit (MTU), Remote Terminal Units (RTUs), Programmable Logic Controllers (PLCs), Intelligent Electronic Devices (IEDs), a Human-Machine Interface (HMI), a Data Historian and an Input/Output (IO) Server (see glossary). Control networks have merged with corporate networks in order to facilitate monitoring and controlling systems from the outside, which allows decision-makers at an enterprise level have access to process data. Network topologies can vary greatly from ICS to another, with different characteristics for each layer within a control system hierarchy, but the most important components they must include are: a fieldbus network, a control network, communications routers, a firewall, modems, and remote access points. Originally, ICS used specialized hardware and software to run proprietary control protocols, making them completely isolated systems with little resemblance to traditional information technology (IT) systems. However, in order to facilitate remote access capabilities and corporate connectivity, IT solutions are being designed and implemented into ICS. The use of standard computers, operating systems (OS) and network protocols, along with low-cost Internet Protocol (IP) devices to replace proprietary solutions, provides new IT capabilities, but reduces the ICS isolation from the outside world, thus increasing the possibility of cyber security vulnerabilities and incidents. Despite the availability of solutions to deal with these security issues in typical IT systems, special considerations and precautions must be tailored to secure the ICS. Additionally, efficiency and safety goals can sometimes conflict with security in the design and operation of control systems. Because each one of these ICS is unique in its performance and reliability, each one requires its own unique, and sometimes unconventional, operating system and applications which might be regarded as odd or challenging by typical IT personnel. The implementation of an ICS always involves some form of impact, which is complex and can go far beyond the immediate processes at hand. Some of the ICS characteristics differ from traditional information processing systems because they affect the physical world directly. These might risk human and environmental health and safety, as well as detonate financial issues related to production losses which can compromise proprietary information and even have a negative impact on a country’s economy. 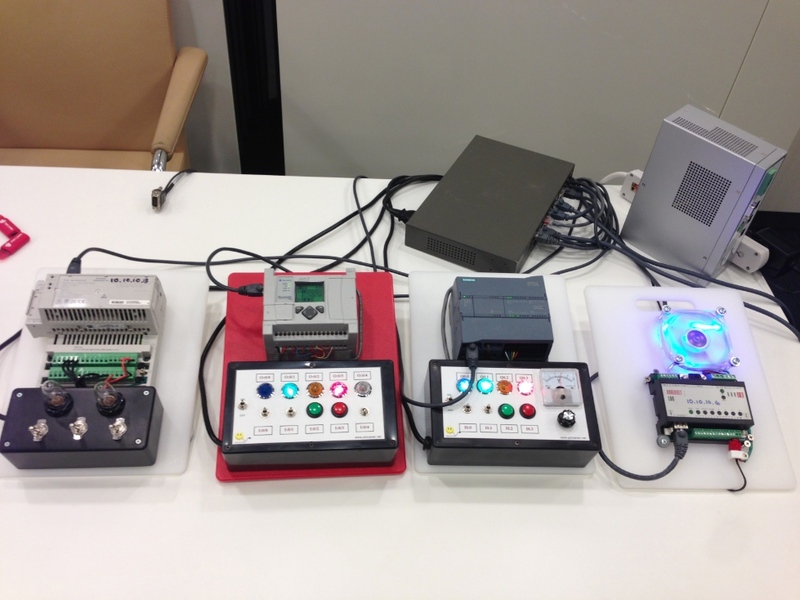 Control loop – contains measurement sensors, controller hardware (such as a PLC), and actuators (such as motors, switches, control valves and breakers), all interconnected, which share the communication of variables. The sensors transmit controlled variables to the controller which then interprets the signals it receives and, based on the set points, manipulates this information to generate new variables. It sends this new information to the actuators which perform accordingly to adjust the system involved into a stated within the set points. Whenever the system or the process is disturbed, the sensors will send new signals to the controller, in order for there to be a readjustment. Control network – an interconnection between the lower-level control modules and the supervisory control level. Control server – a host to the supervisory control software of a PLC or DCS that communicates with lower-level control devices. It has access to subordinate control modules within an ICS network. Data Historian – a centralized database for storing all the ICS process information. This information can be accessed to support statistical process control. Fieldbus network – a network that connects sensors and other components to a PLC or other controller. Using fieldbus technology eliminates the need for point-to-point wiring between the controller and each device. Communication between the fieldbus controller and the devices is through a variety of protocols. The messages sent between the controller and the sensors identifies each of the sensors uniquely. Human-Machine Interface (HMI) – these are used by engineers and operators to monitor and configure set points, control algorithms, and establish and regulate parameters in the controller. This interface also displays information on the status of the process, reports, historical information, and other information to administrators, business partners, operators and other authorized users. The platform, interface and location may vary greatly. Intelligent Electronic Devices (IED) – “smart” devices that combine both sensor/actuator attributes which, when used in SCADA and DCS systems, allow for automatic control at a localized level. They can gather data, communicate with other devices, and perform local processing and control. Input/Output (IO) Server – a control component that collects, buffers and provides access to process information from control sub-components such as RTUs, IEDs and PLCs. It can be found on the control server or on an independent computer platform. These servers can also be used for interfacing third-party control components such as a control server and an HMI. Modem – a device that enables communication between components by converting between serial digital data and a signal suitable for transmission over a telephone line. 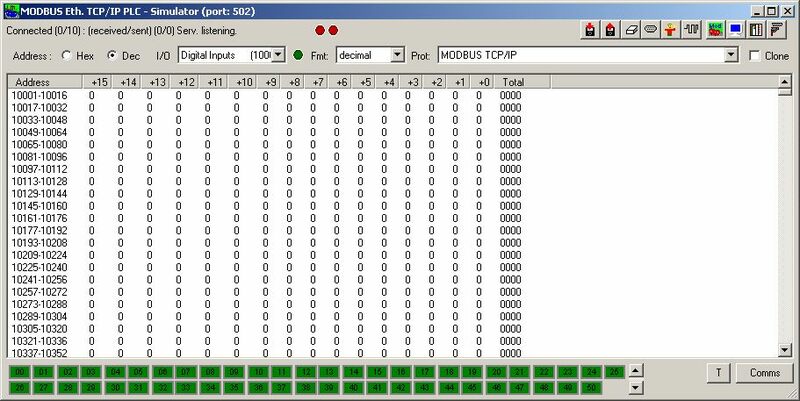 Modems are used in SCADA systems to allow long-distance serial communication between remote field devices and MTUs. 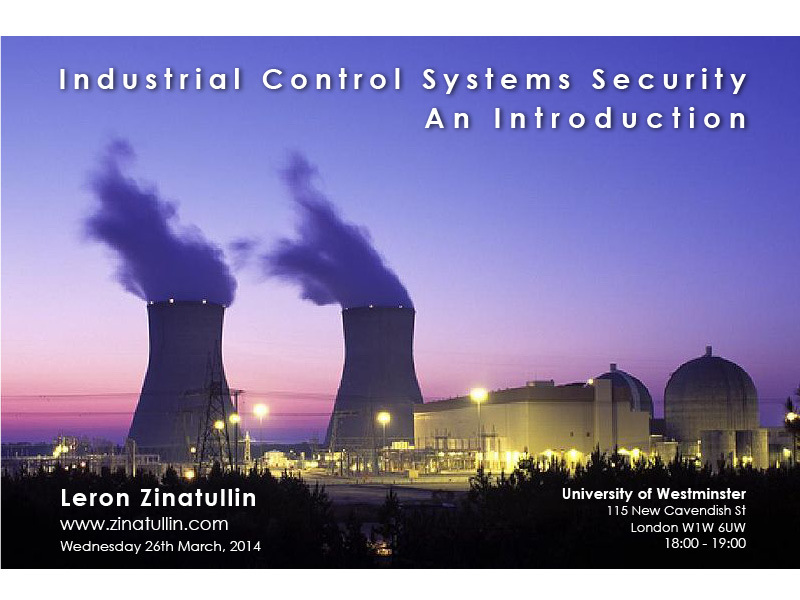 They are also used for gaining remote access to operational and maintenance functions in DCS and SCADA systems. Remote Diagnostics and Maintenance Utilities – are used to identify, prevent and recover from abnormal operation, disruptions or failure. Remote Terminal Unit (RTU) – (also known as remote telemetry unit) is a control unit for special purpose data acquisition in SCADA remote stations. These field devices support traffic to and from remote sites were wire-based communications are unavailable since they are equipped with wireless radio interfaces. SCADA Server or Master Terminal Unit (MTU) – this device performs as the master in a SCADA system, in which PLCs and remote terminal units which are located in remote sites act as slaves.